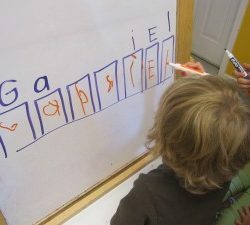 Not quite ready to practice name writing yet? 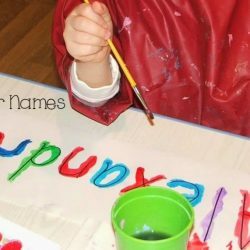 Try some of these name activities to start recognizing and spelling their name first. 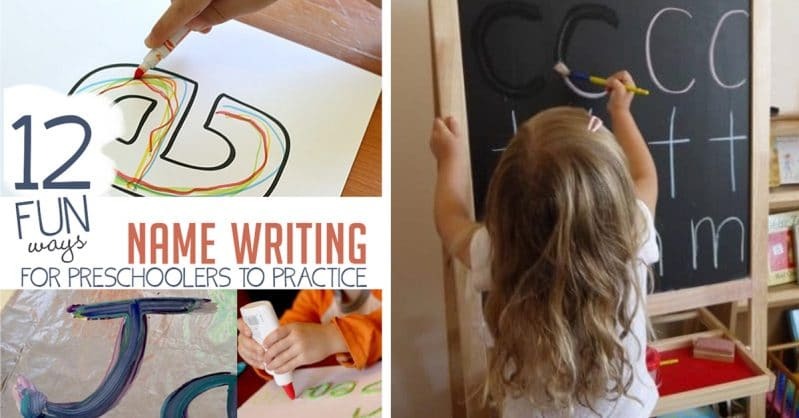 What are your favorite ways to help your child practice name writing? 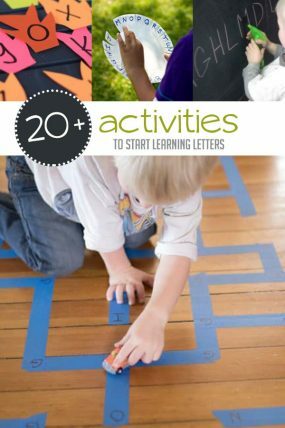 These affiliate products are non-worksheet ways for kids to practice writing their name. 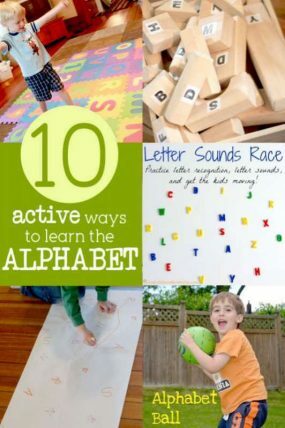 Here are 10 more ways to prepare your little ones for school (that have nothing to do with academics! ), from TheSaltyMamas.com. 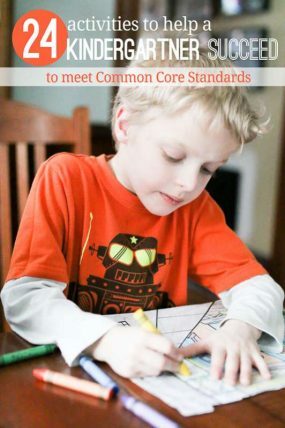 24 Common Core Activities for Kindergarten Success! One of my favorite ways to practice writing is with water on a chalk board. I have one client who loves to put everything in the mouth, who cares if its a clean brush and water! 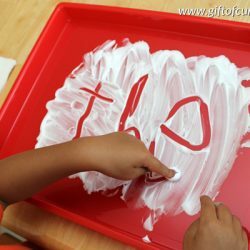 My youngest will be headed to preschool soon so I would love for him to have some idea of how to write his name. These ideas actually make it look fun. Thank you for getting all of these together! I love this compilation. Big help! 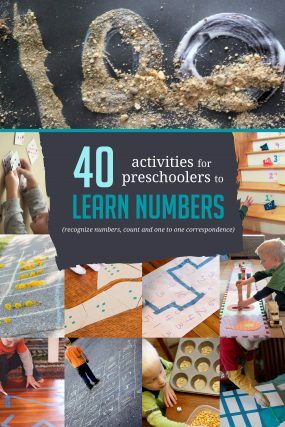 I am a preschool teacher with 15 years experience and five master degrees in education. You are absolutely correct about writing names. Your activities are perfect. Thank you for the reminder. 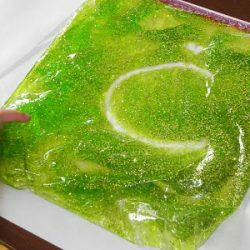 School starts up again in a few days and I am going to have my little ones do your activities. 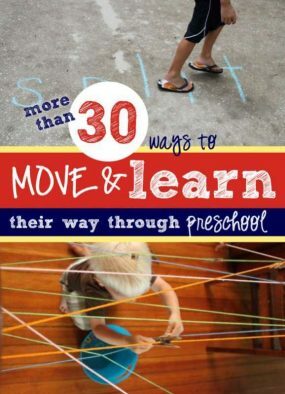 So many times adults forget that young children learn best by having playing and fun. Skill sheets are NOT fun!! 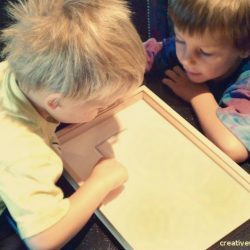 I wish teachers would sit down with a skill sheet and complete it. It wouldn’t take long before they realize how their hands ache and they stopped processing what they are suppose to learn. Just imagine how a child’s little hand muscles must hurt. Thank you again for the great ideas and reminders of how to help our children. Thank you!!! 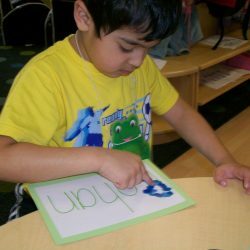 We are doing the Rainbow Writing Name right now! She loves it!